July, 2017 | AllTech Services, Inc.
How Can UV Light Help Keep You Healthy? Although cold and flu bugs may be more prevalent in the winter, it doesn’t mean we’re all immune to illness during the rest of the year—particularly if you don’t have the right indoor air quality products in Sterling, VA. True, there’s not a lot you can do to prevent the common cold. However, there is certainly a way to help cut down on the spread of germs in your home once hit by them. We’re talking about a UV air purifier. 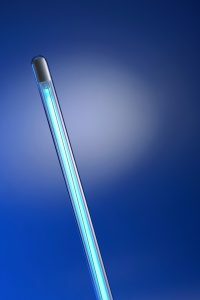 Posted in Indoor Air Quality | Comments Off on How Can UV Light Help Keep You Healthy? The plumbing system that snakes its way through your home is vast and complex—involvin g many different piping systems and appliances. Your plumbing is one of those things that you rely on the most for your daily comfort. It can also be one of the hardest to keep in good shape if you don’t know how to. There are a number of steps you can take, however, to ensure that your plumbing system serves you well for years to come. 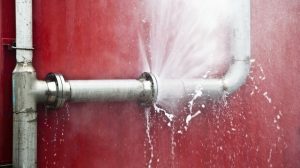 Read further for our tips on how to take good care of your plumbing system and potentially avoid emergency professional plumbing services in Leesburg, VA as a result.